The new canopies and lighting look excellent, really looking the part now. Keep the updates coming! Forget the decorating! Decorating finished. 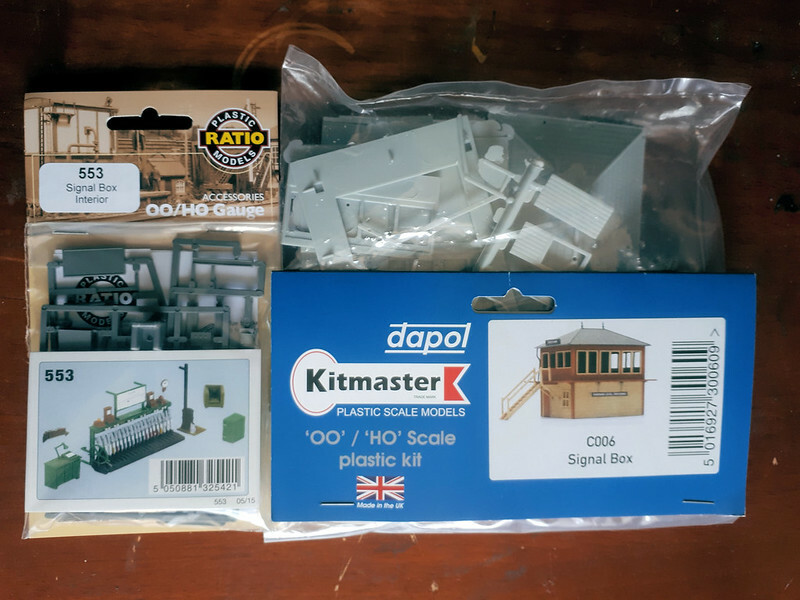 Dapol signal box arrived. 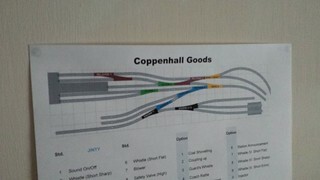 Just under 2 weeks ago, I had a clean up and was running the layout, or should I say wanted to! I had to get under the layout and look at two seep's, one not switching the frog and the other just dead. I have never been totally happy with them, so now 14 seep's are in the bin. 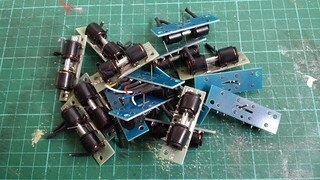 Seep's gone - Switches gone - Legend gone. 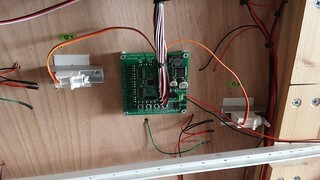 Its been a while again, I finished fitting the servo's to the points and tested them, I have used the Megapoints system. 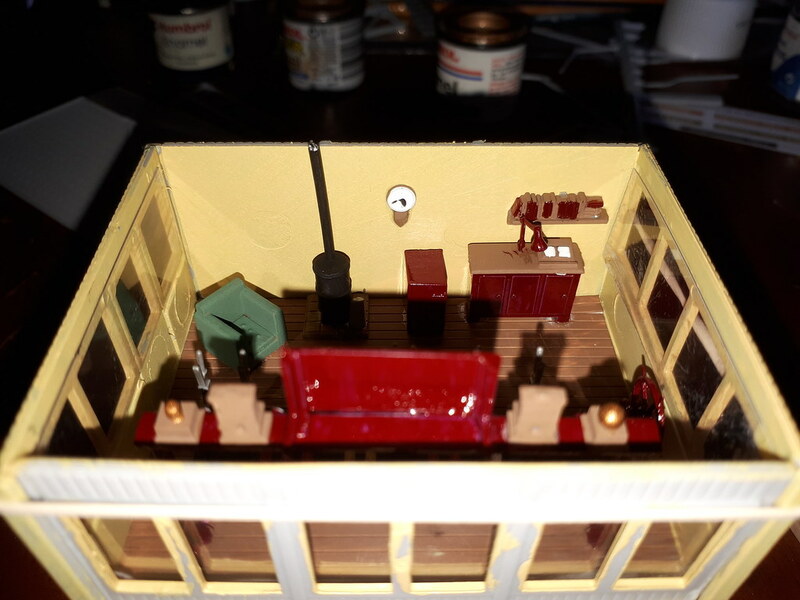 Then the wife and I decided to have a change around so the layout was moved to a new room Which is a little large and wife claimed the smaller one. 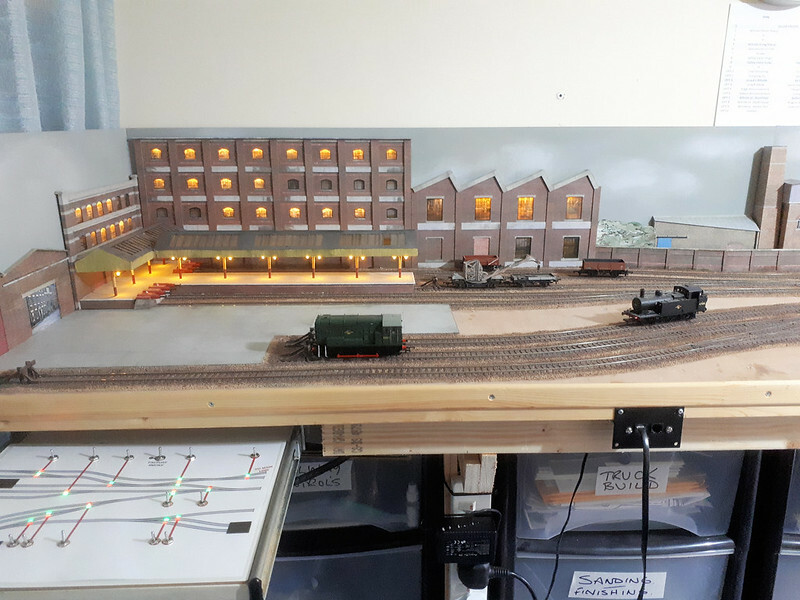 I have now got the layout rebuilt and was about to fit micro switches to control the frogs but discovered that Megapoints do a relay control for the frogs, so that is now installed. 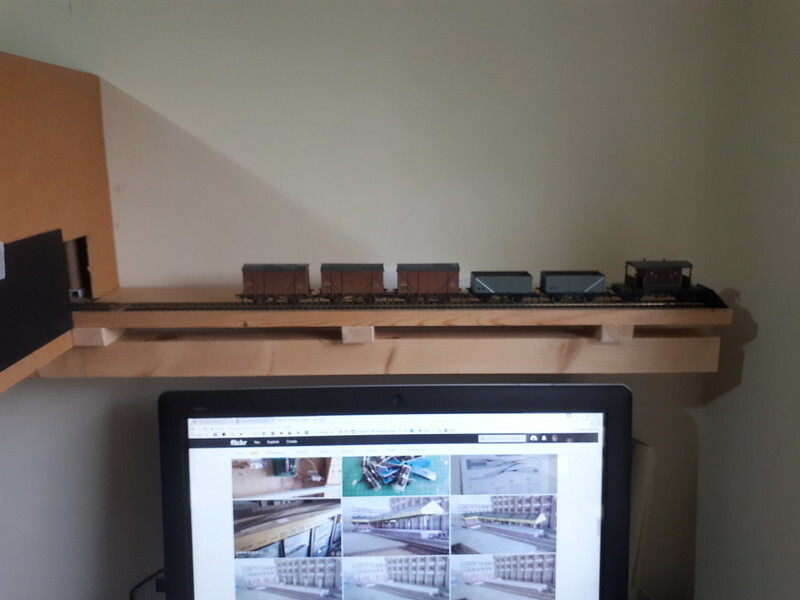 With the larger room I have room for a better I am now pleased the railway is up and running. More scenic work to do. I do like your "lit" low profile factory, that one hadn't crossed my mind yet. That area above your PC is begging to become a traverser! 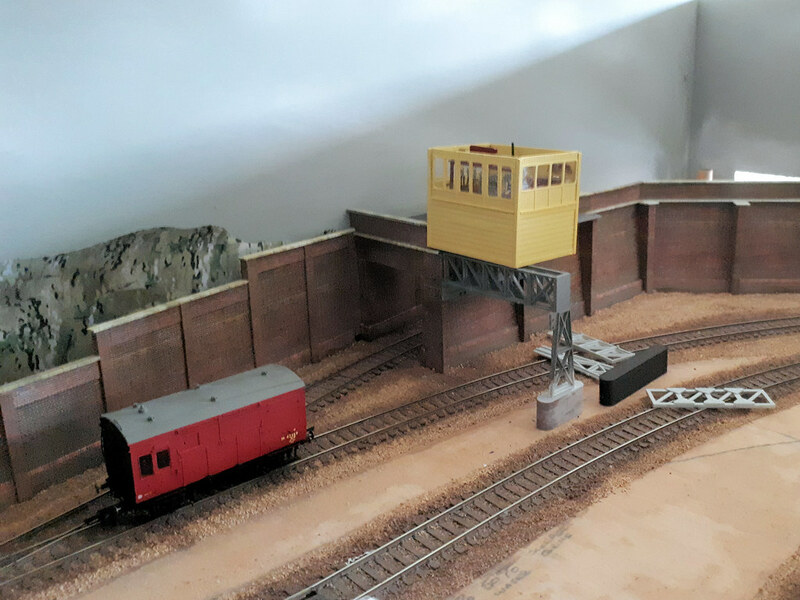 More progress on the Signal Box and its Foundations you will see what I mean in the pictures, I had to get a Dapol Signal Gantry and have now ordered a second. Its coming together well. 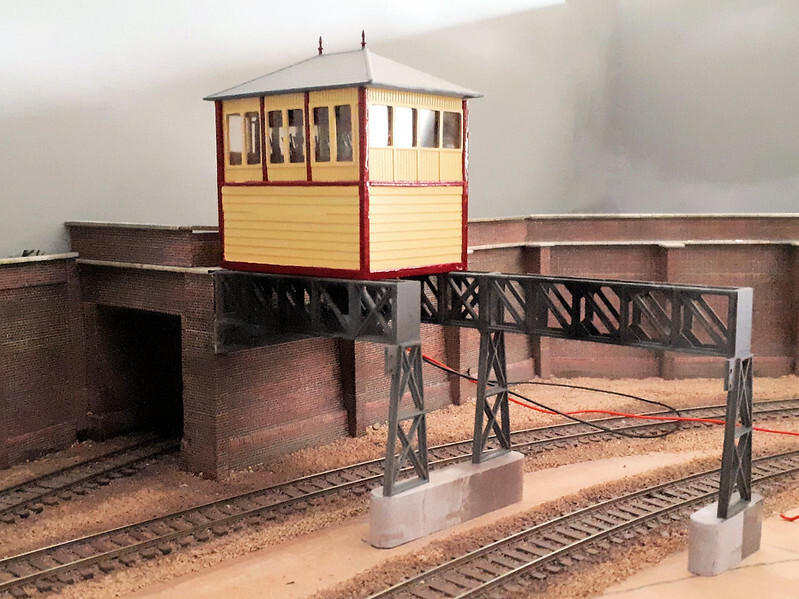 A little bit more done on the elevated signalbox. 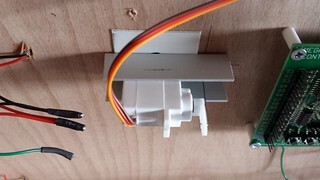 Finished for now I am sure I will come back and tinker a little, Telegraph wires, Point rodding, Point Cabling. Its been a while since I updated this thread what with one thing and another. 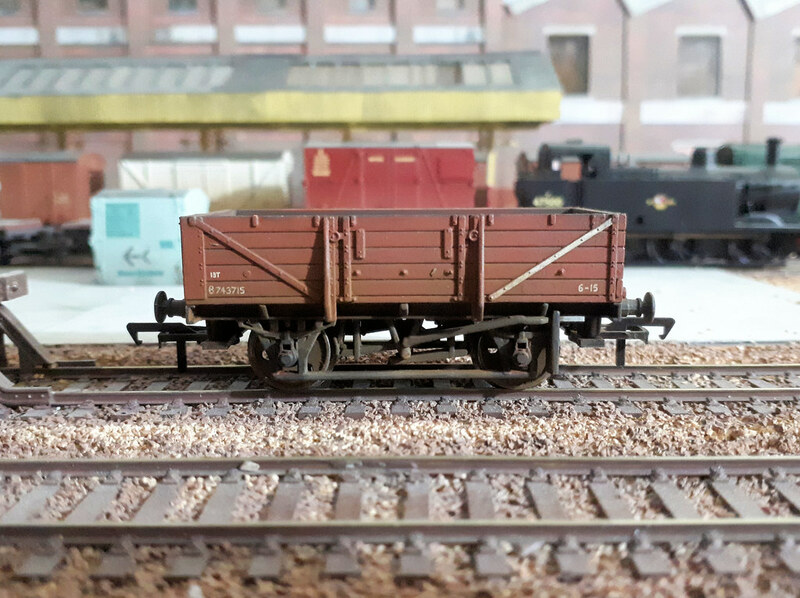 I have got some new rolling stock and tried weathering a few. But need to get some more done scenic wise. 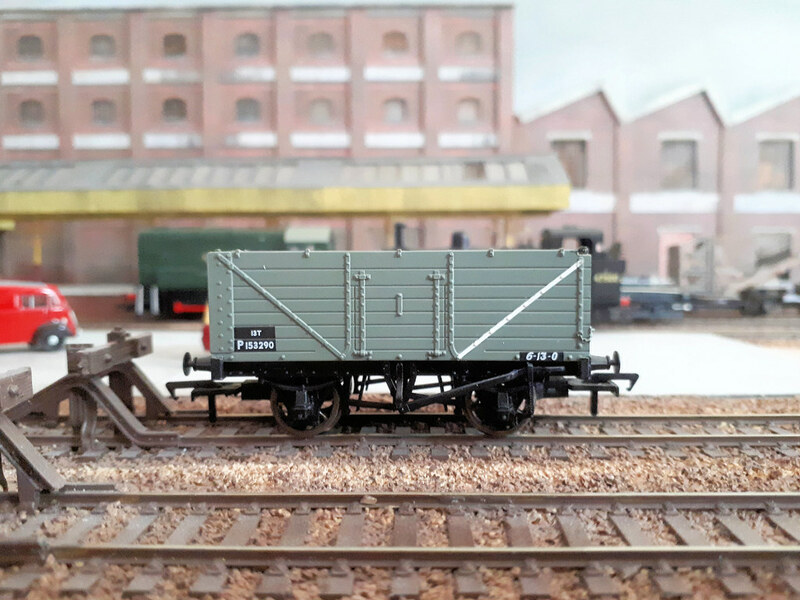 I have not done much since last post but started tinkering again, There is one thing I must look at but have been avoiding that's signalling (I know nothing). My layout is Late crest around 1960-64. I know that a change over from semaphore to light signal's was around this time but what about on good/parcel yards? Maybe a mixture and ground signals? I have here a layout plan where and which type would have been used? 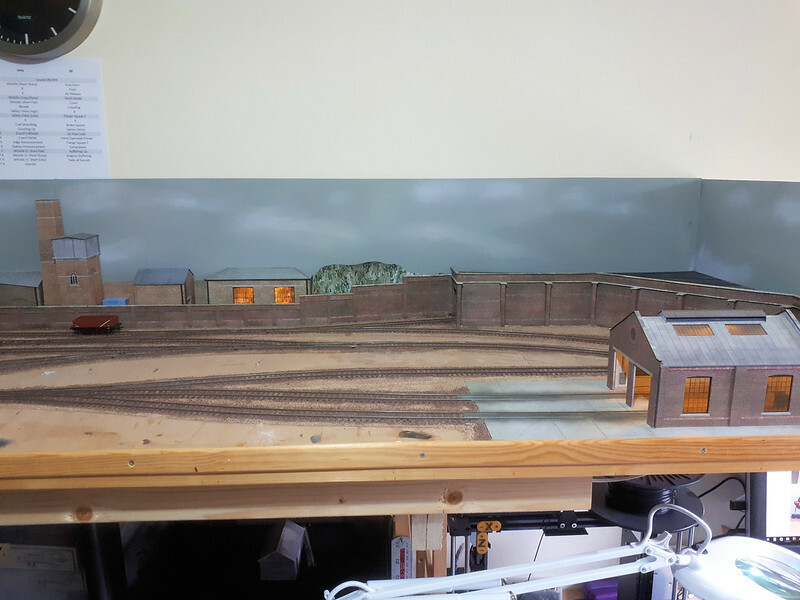 Brown is platforms and shed, grey is hard standing and green is back scene, top right is to fiddle yard. 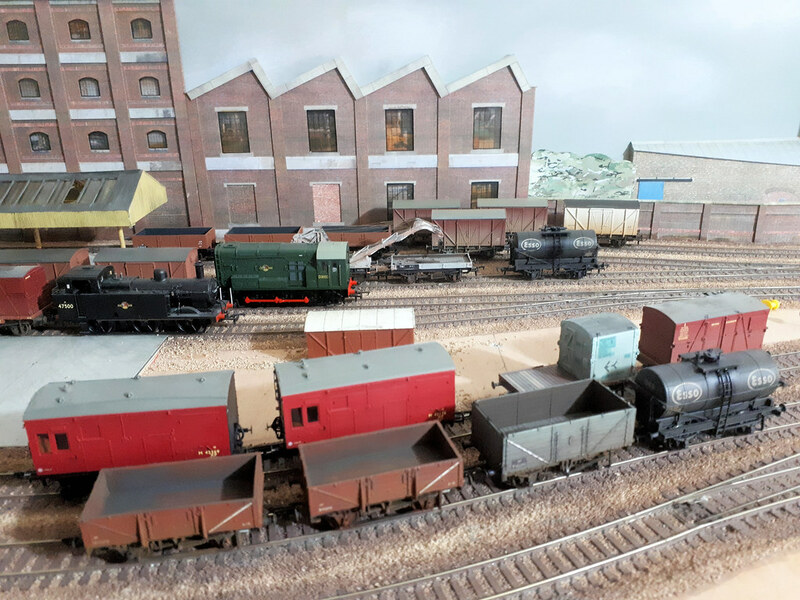 Seeing that, as you say a goods yard, very few signals are needed, the exit out of the yard, by the tunnel, and a couple of ground signals to protect the running lines. 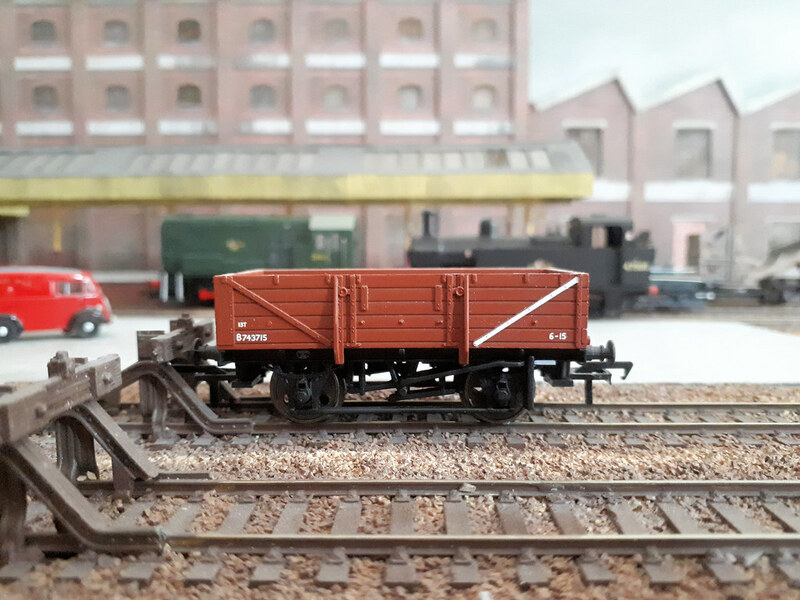 The shunters would know the times of trains entering and exiting the yard and would work around the timings. 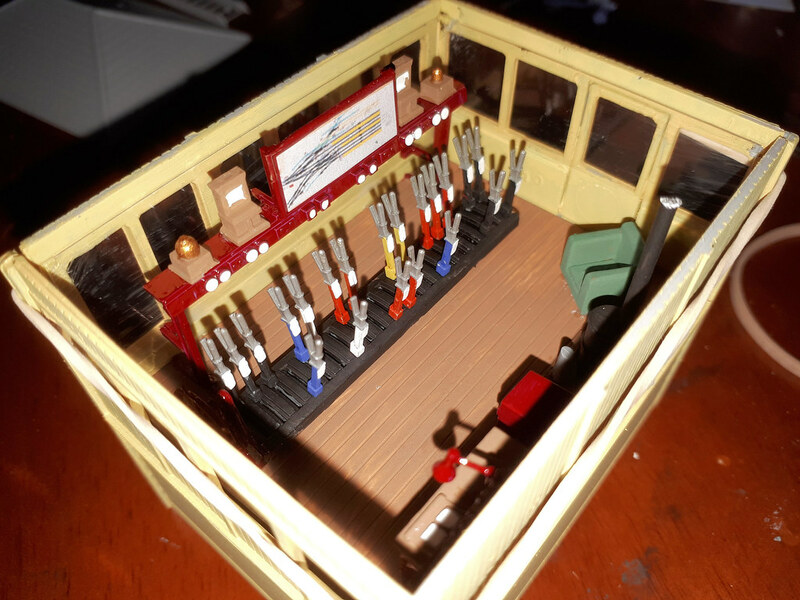 Really high standard of modelling there, like this layout a lot. manna wrote: the exit out of the yard, by the tunnel, and a couple of ground signals to protect the running lines. But which signals and where? I've put some numbers, where I think, the signals should go. No. 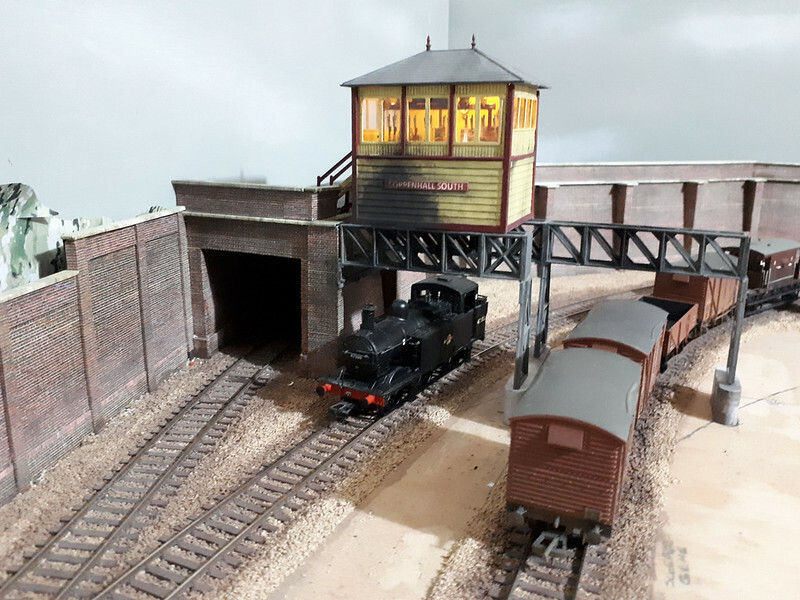 1, this would be a mainline type signal, Home and Distant, with a small sub signal to allow shunting into the sidings to the right of the tunnel. No. 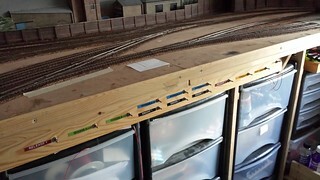 2 A small sub signal (dollie) to protect the headshunt and sidings to the left. No. 4 To protect the exit line, another small sub signal. This is the best I could come up with, as I don't know of any yards with this type of complexity, so I have used a logical signal layout, it also breaks the yard up into four parts. 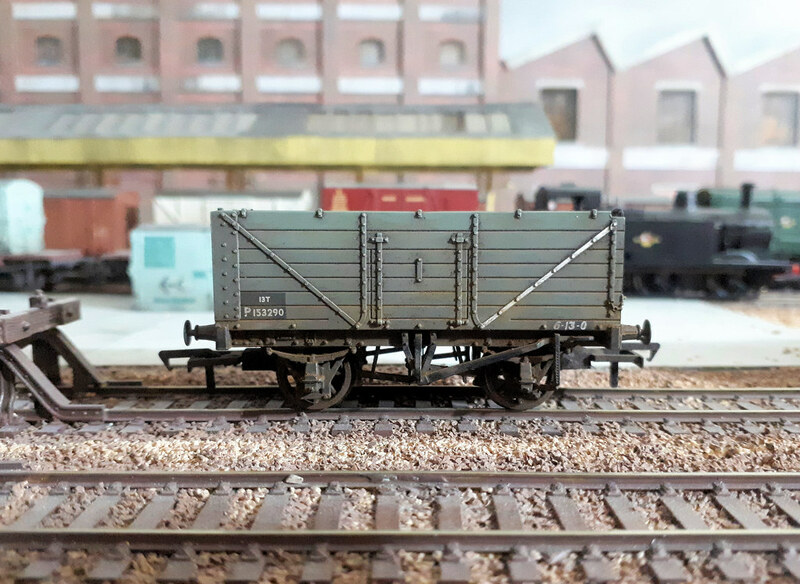 This allows you four yard shunters, plus larger goods loco to arrive and depart.